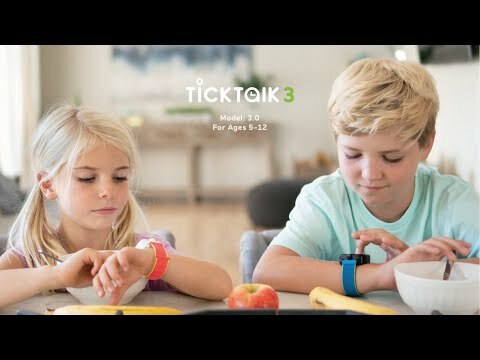 FULLERTON, Calif., Oct. 29, 2018 /PRNewswire/ -- TickTalk Tech LLC, known for creating innovative kids' smart watches, has created the 3rd generation of the TickTalk. Now in its manufacturing stage, the TickTalk 3 4G version will have video and voice calling, text and group chat messaging with emojis, a more accurate locator, and a revamped TickTalk 3 app that will allow parents to utilize the different features in a streamlined way, plus more. Visit our Indiegogo page to learn more and see the different perks we have available! View this video to see what new features the TickTalk 3 will have. The TickTalk 3 is currently available at a discounted pre-sale rate on the crowdfunding site, Indiegogo. Within 24 hours the goal of $50,000 was exceeded and is continually rising each day of the 15 day campaign. TickTalk Tech LLC has given all backers a guarantee that they will be able to fulfill every pre-order received despite Indiegogo's disclaimer policy that there is no guarantee that the product will be delivered to those that purchase the Super Early Bird and Early Bird deals available on their site. 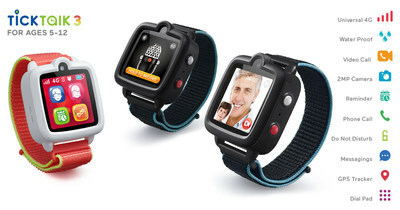 TickTalk Tech LLC plans on delivering the first shipment of TickTalk 3 smart watches by mid-December, right before the holidays, and the second shipment in January of 2019. The TickTalk 3 has already been tested extensively throughout the United States.